AQHI Inc. is an Asbestos Certified Contractor in Seal Beach CA Carrying Multiple Official Qualifications for your Protection. As a responsible asbestos certified contractor in Seal Beach CA, AQHI Inc. abides by the highest standards of safety at every step of the process. In the unlikely event an accident should occur, you will be protected from liability by our comprehensive insurance coverage that includes specific provisions for asbestos pollution. Asbestos remediation and asbestos waste transport are two separately regulated activities requiring separate certifications. At AQHI Inc., we are certified for both activities. This is a huge benefit to our clients because we are able to include waste transport and disposal in our initial bid. Plus, you don’t get any hidden fees when you choose us as your asbestos certified contractor in Seal Beach CA. 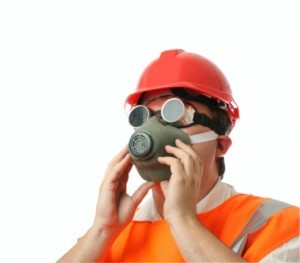 It is very important to remember that although asbestos contamination is invisible, it is still very dangerous. You cannot underestimate it. Do not attempt to clean up asbestos by yourself! Instead, call the pros at AQHI Inc. With multiple locations in southern California, we can launch a fast response no matter where your property may be located. Our asbestos removal office for Asbestos Certified Contractor in Seal Beach CA is open Monday through Friday between 8:00 AM and 5:00 PM and closed for lunch from noon to 1:00 PM. With advance notice, projects can be scheduled for weekends, early mornings and evenings.